A gender forum featuring several speakers from country partners and non-government organizations was held at IRRI headquarters on 14 March. The forum, titled Bringing better lives to women: Experiences from the field, was organized by Bas Bouman, director of the Global Rice Science Partnership (GRiSP), and Thelma Paris, IRRI senior scientist and gender specialist. 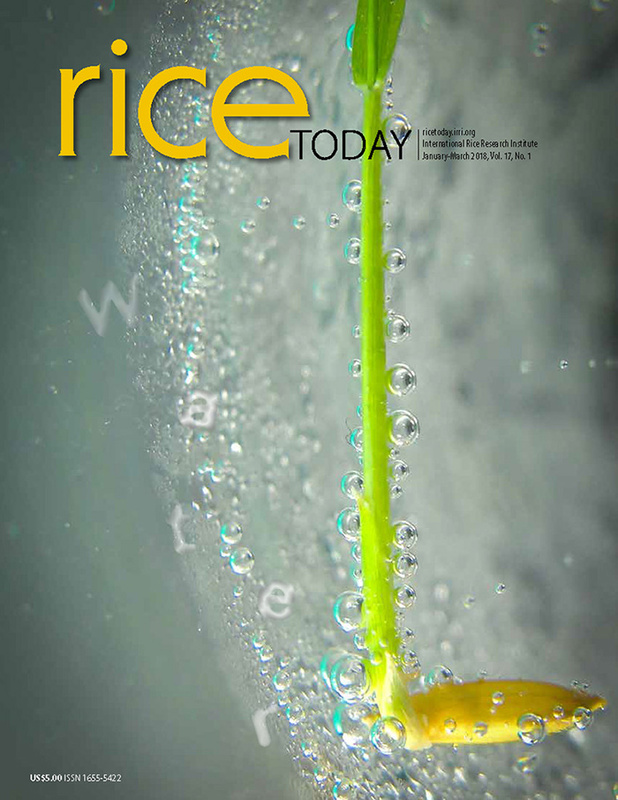 The Lao People’s Democratic Republic Rice Policy Study, an in-depth study of the Lao PDR rice sector including the prevailing policy environment and recommendations to meet future needs, has been published at the FAO website. The Lao government-commissioned study report, a collaboration of the World Bank, the Food and Agriculture Organization (FAO) and IRRI, sought to support evidence-based policy decisions by the Lao government. This is seen as the first step in defining a comprehensive food security policy for the Lao PDR. The second annual review and planning workshop of the Climate Change Affecting Land Use in the Mekong Delta: Adaptation of Rice-based Cropping Systems (CLUES) Project was held at Can Tho City, Vietnam, earlier this month. The project, funded by the Australian Centre for International Agricultural Research (ACIAR), started in March 2011 and will end in February 2015. 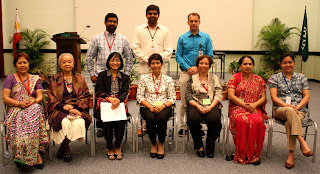 The Green Super Rice (GSR) Project formally launched its second phase in a meeting opened by David Bergvinson of the Bill & Melinda Gates Foundation (BMGF). Dr. Bergvinson cited the project's expanding partnerships and stated the main goal of the meeting, which was to develop a sound seed road map, or SRM, for each country covered. The project aims to benefit 500,000 resource-poor farmers from China, other parts of Asia, and Africa. 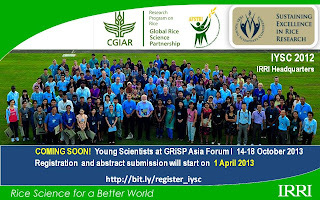 The second gathering of the IRRI young scientists will be held along with the Global Rice Science Partnership (GRiSP) Asia Forum on 14-18 October 2013 at IRRI Headquarters in Los Baños. 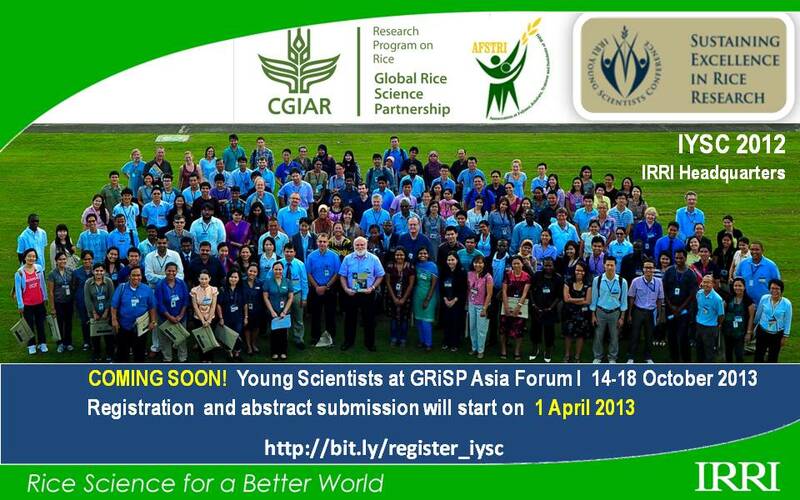 This year, GRiSP will feature a forum for young scientists to interact and share scientific insights with top scientists from around the world on topics related to the 6 GRiSP research themes. It will be a good opportunity for young scientists to become familiar with ongoing research under the various GRiSP institutes across Asia. Achim Dobermann, deputy director general for research, was given an Honorary Fellow Award by the Crop Science Society of the Philippines (CSSP) during the 22nd Scientific Conference of the Federation of Crop Science Societies of the Philippines. The next big tech push for rice is slated to come on 31 August-1 September 2013 as the International Rice Research Institute gears up for the Bigas2 Hack—the sequel to last year's hugely successful BigAs Hackathon—an event for developers and programming aficionados who are willing to use their highly sought skills to benefit the world. A workshop, Rice production in Bangladesh and collaboration between India and Bangladesh on seed issues, was held in Dhaka on 17 February 2013 as a means to review and identify priority areas to enhance collaboration between India and Bangladesh, as coordinated by IRRI. The workshop, jointly organized by the Bangladesh Ministry of Agriculture and IRRI, aims to widen of the scope of the seed system to benefit various stakeholders, particularly farmers, from both countries. 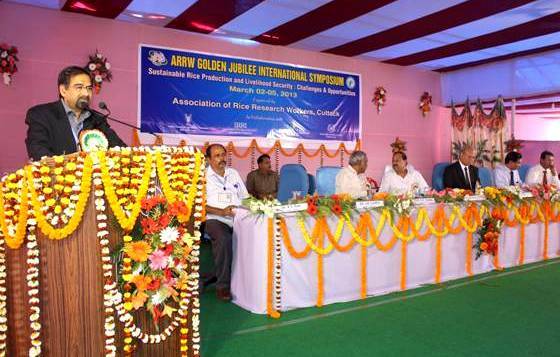 A 4-day international symposium, Sustainable rice production and livelihood security: challenges and opportunities, was recently held at the Central Rice Research Institute (CRRI) in Cuttack. J.K. Ladha, IRRI representative for India and Nepal, in his message highlighted the importance of CRRI as a partner, citing its involvement in 20 out of 24 collaborative projects between the Indian Council ofAgricultural Research (ICAR) and IRRI for 2013-16. 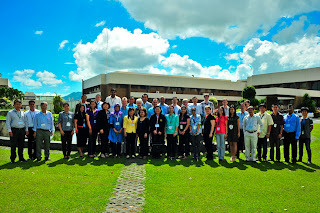 Joel Janiya of IRRI (third from left). Joel Janiya, senior associate scientist (extension agronomy) at IRRI's Crop and Environmental Sciences Division (CESD), received the Pest Management Award in Extension and Community Services during the Annual Conference of the Pest Management Council of the Philippines (PMCP). He was recognized for his achievements in training and transfer of the Consortium for Unfavorable Rice Environments (CURE) and the Irrigated Rice Research Consortium (IRRC) technologies across Southeast Asia and East Asia. 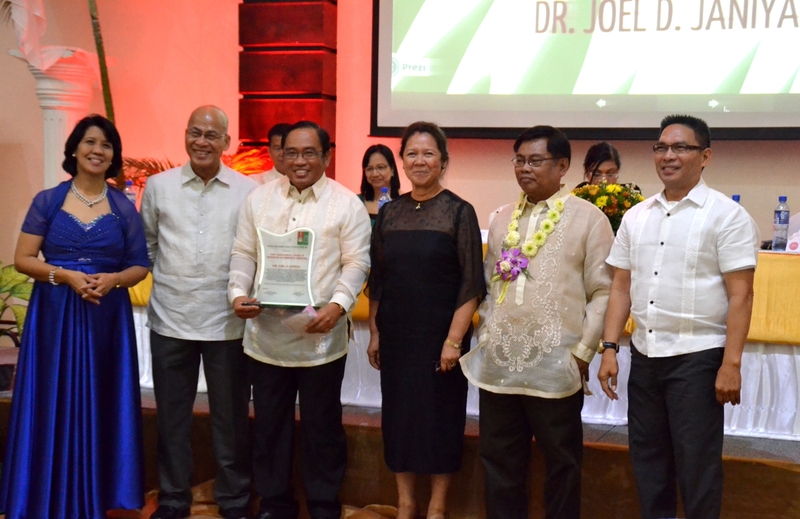 Hiram Gomez, Jr., senior manager at the IRRI Supply Chain Services, was awarded Supply Management Professional of the Year by the Philippine Institute for Supply Management (PISM) at the Supply Link 2013 International Conference. This is the highest individual award in the supply management profession, with the board of judges coming from the private sector, the academe, and the government. The Young Researchers Lunch for March hosted Dirk Hincha, head of the Central Infrastructure Group (transcript profiling) of the Max-Planck-Institut fur Molekulare Pflanzenphysiologie in Potsdam, Germany. Dr. Hincha entertained questions about analyses including metabolite profiling and RNA sequencing and shared his views on the importance of conducting hypothesis-driven experiments rather than doing studies involving more and more measurements in search of some significant differences. The USAID-funded Cereal Systems Initiative for South Asia (CSISA) project in Bangladesh held a 3-day training for 'InfoLadies' that sought to transfer agricultural technologies to rural farmers, particularly women who face social, economic, and cultural challenges, through the use of information technology. An InfoLady is a rural woman entrepreneur trained and equipped with a bicycle, netbook, and other accessories. She travels from village to village and from household to household to provide ICT-based services to rural women who lack access to basic information on health, agriculture, and education. The InfoLady also provides information assistance on legal advice, job search, market linkages, government services, and others. Nearly a thousand residents of Brgy. 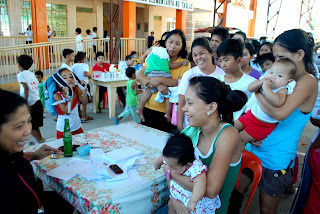 Tadlac along Laguna Lake in Los Baños were recipients of IRRI's community health education (CHE) and medical mission in February 2013. Counseling was provided the residents on nutrition, prevention of basic illnesses, child care, reproductive health among mothers, and other topics by volunteer health practitioners from the Army General Hospital of the Armed Forces of the Philippines in Taguig.